He will throw a water cooler at your opponent like he did during the Chiefs game at arrowhead stadium when he was wide open and Ben Roethlisber didn’t throw it to him. 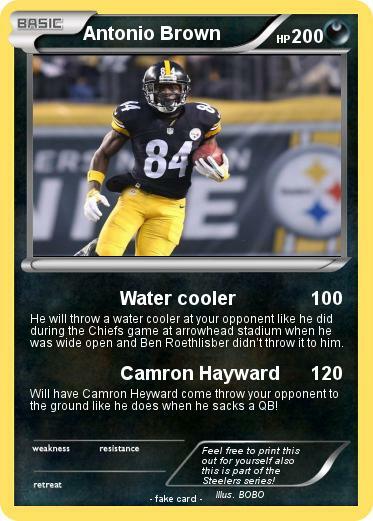 Will have Camron Heyward come throw your opponent to the ground like he does when he sacks a QB! Comments : Feel free to print this out for yourself also this is part of the Steelers series!